A firework is an icon of synergism, in which the end result is greater than the individual effects. Yet where most of us see the whole—the brilliant light and vivid color of a successful burst—a pyrotechnician sees the parts, including a properly functioning lift charge, black powder mix, time-delay fuse, bursting charge, and other essential ingredients. In this interactive, put on the pyrotechnician's hat and see a typical firework from the inside out. In this flashy interactive, put on the pyrotechnician's hat and see a typical firework from the inside out. This feature originally appeared on the site for the NOVA program Fireworks!. 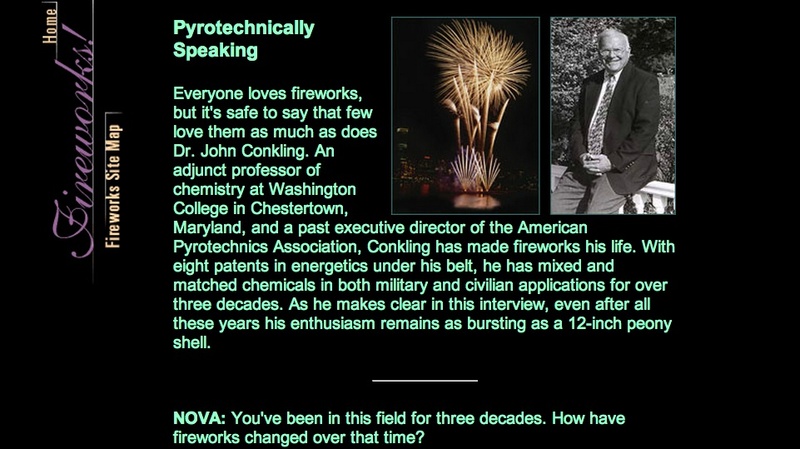 Meet chemistry professor Dr. John Conkling and learn why fireworks are his passion. 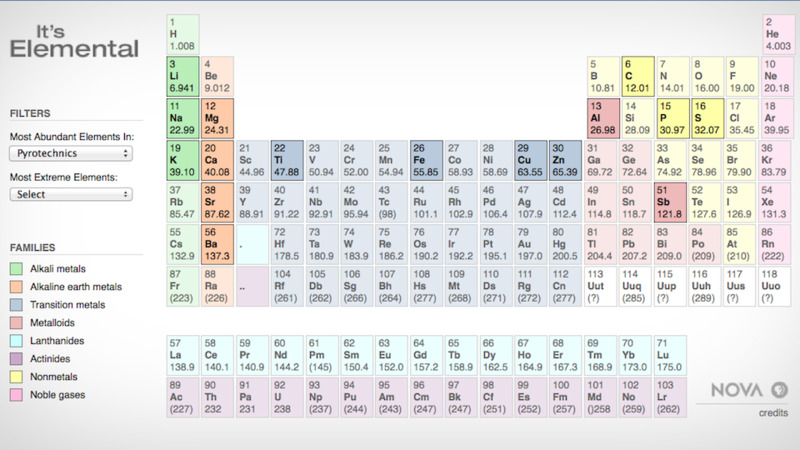 In this interactive periodic table, find out the role of various elements in making fireworks.